STOLEN! !Our Sit-on-Top kayak trailer was stolen this am. (Monday 22/3/16). The trailer is a twin axle steel cage with the boats quite obviously viewable in the trailer. 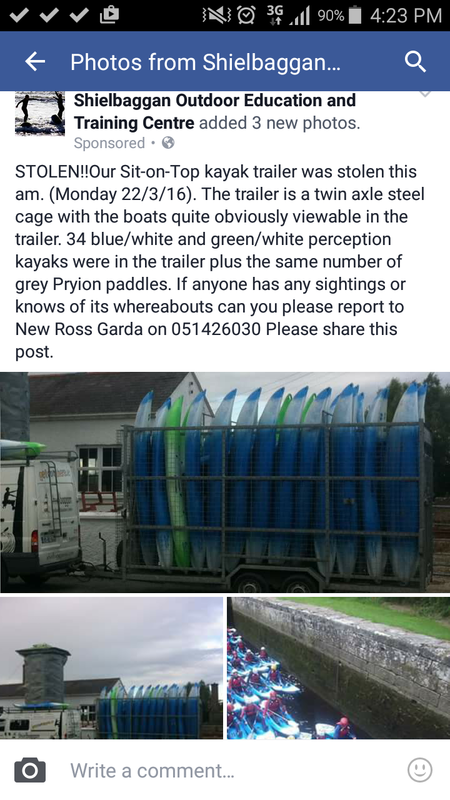 34 blue/white and green/white perception kayaks were in the trailer plus the same number of grey Pryion paddles. If anyone has any sightings or knows of its whereabouts can you please report to New Ross Garda on 051426030 Please share this post.